Let’s talk about seam allowance for knits. Seam allowance can be such a personal thing. Some like to use as little as possible while others prefer more generous amounts as an assurance if there are some fitting issues that need to be resolved. I am more in the former camp, I try to make sure the fit is okay before I cut the fabric and then just keep the allowance to the smallest amount necessary for what my chosen construction method requires. 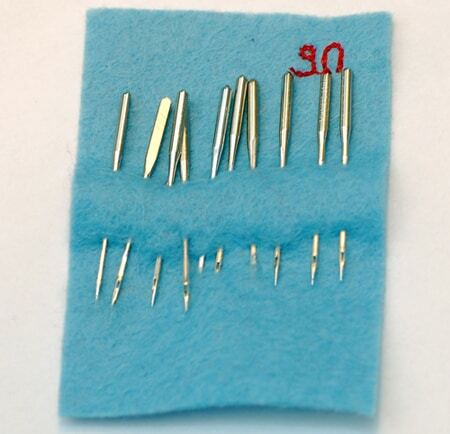 And when sewing with knits, the standard 5/8 in (1.5 cm) just makes it harder to sew if you ask me, since one will have to remove the surplus at some point, which I find both wasteful and time-consuming. For stretchy knits, I use 0.6 mm (1/4 inch) for all the seams. This the width of most overlock/serger stitches and stretch seams on sewing machines, plus the width corresponds well with clear elastic which I use for shoulder stabilization. This is also a really manageable width to sew, as it’s easy to keep straight, just make sure the underlayer doesn’t slip. 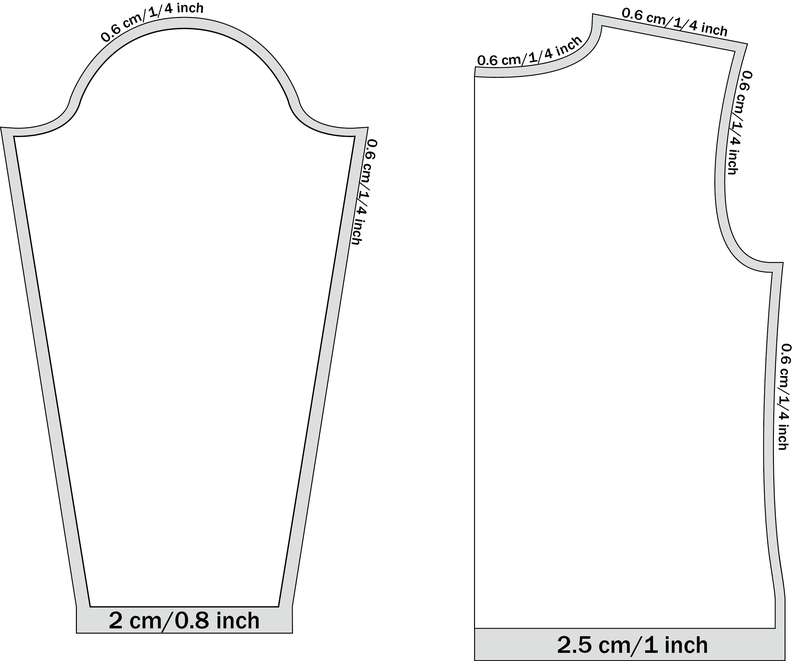 As for shaping tapered hems, I learned a trick from Kathleen Fasanella who in turn found this method in a book about drafting patterns for knits (if I recall correctly). 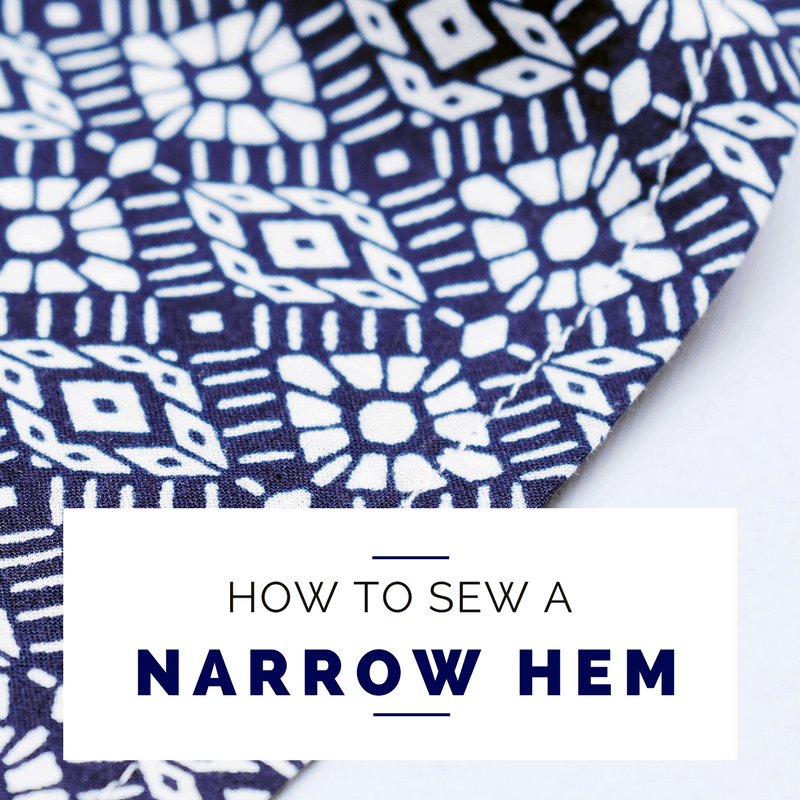 Instead of mirroring the slant of the sleeve or a pant leg, this method suggests that the hem of a sleeve is drafted straight with square corners. The idea is that knits will stretch, so this way the hem will align perfectly. I use this method the most and find it works very well, but that is not to say that it is better than a mirrored slant. The most important thing, after all, is that the hem is not slanted inwards. For the hem on a bodice, I prefer to make the lower part vertical instead of curved, as this makes the hemming easier. For skirts though, you may want to keep the slant and make sure the hem has a mirrored slant to avoid excess fabric. 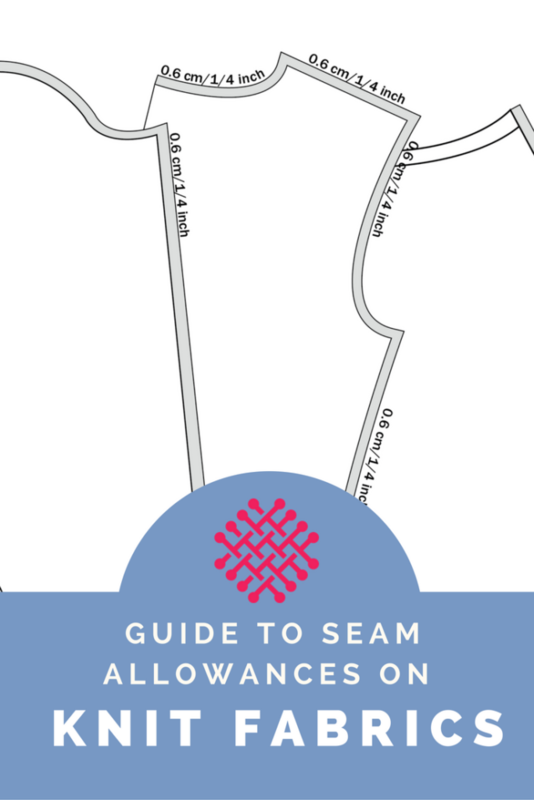 So that’s my primer on seam allowances on knits. As I said at the beginning of my post, seam allowance preferences can be very personal, and I am not on to say that this is the only way to do it. But these are the ones I prefer and who has yielded the best result for me. What are your preferences for sewing with knit fabrics? Hej Johanna, hoppas det gick bra i Köpenhamn! Jag bodde i Sverige paa nittio-talet och en gaang var jag i Göteborg när en vän deltog i halvmarathon, det var länge sen!! If you cut the seam allowance 0,6cm. wide, does this mean that the overlock blade will not cut your fabric?